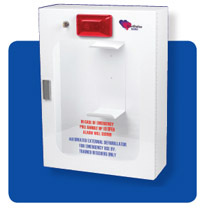 The HeartStation RescueCase was the first fully alarmed cabinet to secure and display Automated External Defibrillators (AED) for public access. The design and construction of our product is based on years of Emergency Medical Service (EMS) experience as well as input from the most important people  YOU! When you chose an AED, you probably made the selection based on function, quality and cost. The choice for an AED cabinet should be the same! 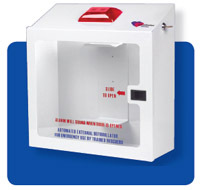 HeartStation RescueCase AED Cabinets provide secure, easy AED access in an easily identifiable cabinet. 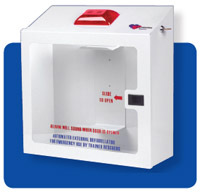 HeartStation is the original, patented AED cabinet unsurpassed in quality, features, and value.